The warm weather that we’ve been praying for is finally upon us, but you have some safety information to learn before you break out the tank tops. Did you know that skin once hidden away under sweaters and jackets, is delicate and more vulnerable to the sun’s harmful rays? 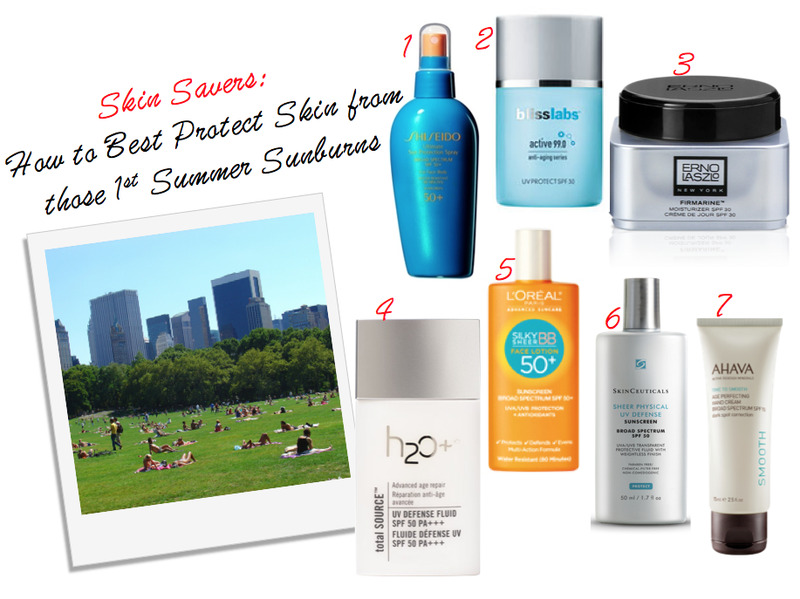 Before you decide to give up and opt for a base layer burn, check out these 7 skin savers. Each of these products are tried and true, and have our seal of approval for healthy formulas and easy to wear applicators. The latest addition to the Shiseido Suncare collection, the Ultimate Sun Protection Spray SPF50+ offers broad spectrum protection in a lightweight spray formulation for face, body and hair. The convenient spray sunscreen spreads evenly with a light, non-sticky texture, is water-resistant for 80 minutes and is ideal for hard-to-reach areas like the back. The Ultimate Sun Protection Spray SPF50+ defends against UVA/UVB rays and helps impart skincare benefits to maintain skin’s overall beauty and health using SuperVeil-UV 360, a patent-pending technology ensures even coverage over the skin’s contours for effective protection from the sun. Bliss spa has created the ultimate fusion of science and spa in the new active 99.0 line. This lightweight, non-greasy translucent lotion is filled with 99% active ingredients to protect from the harmful rays of the sun to prevent aging, dark spots, and wrinkles. Battle the sun’s rays and firm the skin with one single product. 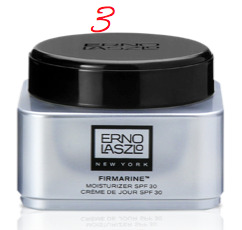 Erno Laszlo’s Firmarine SPF 30 feeds new collagen growth while enhancing skin firmness and bounce. Its ocean –hued formula is equipped with a key bio-marine ingredient, Spirulina Maxima, a fresh water, blue-green algae prized for its health benefits. The silky cream protects with Vitamins E, C and A, Organic Green Tea, Multi-Mineral Complex and mineral-rich Deep Sea Water to boosts the skin’s immunity (anti-viral, anti-bacterial) all summer long. 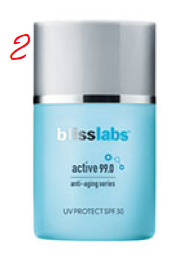 This weightless fluid quickly absorbs into the skin to create a transparent veil of chemical-free UV protection. The high SPF blocks up to 98% of UVA and UVB rays that damage the skin. It also works synergistically to help reduce wrinkles, firm, brighten and nourish the skin. This product makes it easy to incorporate SPF into any current daily skincare regimen. The powdery, matte finish creates a perfect canvas for makeup. Be sure to protect your face from the harsh summer rays with this lightweight tinted face lotion from L’Oréal Paris. The Advanced Suncare Silky Sheer BB Face Lotions contains color-equalizing pigments to correct, even, smooth and brighten the skin while leaving skin feeling soft, with a matte finish. Formulated with an advanced photostable patented UV filter system, powerful antioxidants and luxurious lightweight textures, the complete range is designed to every skin tone under the sun. The all in one sunscreen is available in SPF 30 and SPF 50+. The thin, delicate skin around the eye represents 1% of the skin’s total surface area, but over 10% of skin cancers occur in the area. Delivering a new standard in eye care, this daily, 100% mineral filter base defends, enhances, and optimizes the entire eye area. Formulated specifically for the unique structure of the more sensitive skin around the eye, Physical Eye UV Defense provides broad spectrum SPF 50 protection without migrating into or irritating the eyes. Translucent color spheres create a unifying tint that enhances all skin tones, while ceramides nourish, creating a smooth, optimal canvas for make-up application. Meant to be applied all over the eye area (including the lid), Physical Eye UV Defense has been tested post-injectable and proven 100% safe on even the most sensitive, traumatized skin. 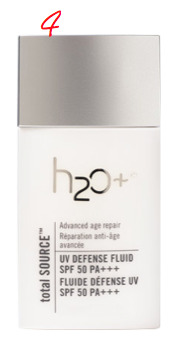 This robust formula helps protect against and undo visible signs of aging caused by the sun and other environmental aggressors. Harnessing the power of the Osmoter™, proprietary complexes and SPF 15, this light-textured emollient cream offers broad-spectrum UVA/UVB photoprotection, helps reduce dark spots, evens skin tone, and restores radiance and elasticity. It has been clinically proven to lighten skin and reduce the contrast between dark spots and surrounding tissue.